Rugs: Rugs are amazing decorative pieces that wrap style and function into one product. They come in an array of different sizes, textures, shapes, and colors while still providing us with a place to wipe our feet. An important thing to consider when choosing a mudroom rug is that most people will be wiping their feet on it. You will want to choose a sturdy, dark color rug for an area like this. Keep in mind: homeowners tend to replace their rugs often due to the amount of moisture and dirt build-up. You will want to choose an affordable rug that you are okay with replacing within the next year. Durable, Low-Maintenance Floors: For your overall mudroom flooring, you will want to choose a product that is durable and low-maintenance. You will want to focus on a product that is easy-to-clean for this high traffic area. Flooring options like tile, stone or LVT can work wonders in these types of areas. For more expert knowledge, be sure to ask one of our sales staff for their product recommendations. Water-Resistant: Depending on where you live, one day it could be raining and one day it could be snowing. To be ready for all mother nature has to throw at us, we recommend purchasing water-resistant flooring. There is only so much that your mudroom rug can soak up, plus you will need an area to place your shoes. Owning a shoe tray can definitely help reduce the transfer of moisture, but moisture-resistant flooring is your best option. Cleaning: You want to choose a product that is easy to clean and wipe down when necessary. The flooring options we listed above (tile, stone or LVT) all have easy-to-clean properties. For more information and expert knowledge, please call or visit. We would love to assist you with all of your questions and needs. 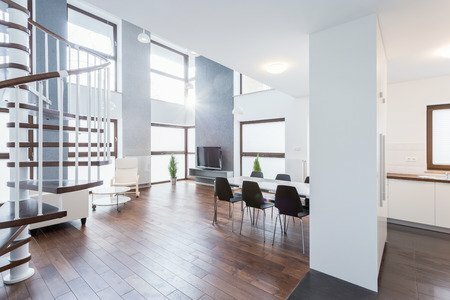 When searching for flooring materials for a contemporary home, there are a few materials that stand out among the rest. They are the type of materials that are very desirable to homebuyers in the market for an up-to-date look that is move-in ready. If you want to be sure you’ve made the right choice, check out some of these best choices for contemporary settings. Hardwood is a material that has stood the test of time. It is at once classic and modern, casual and formal. 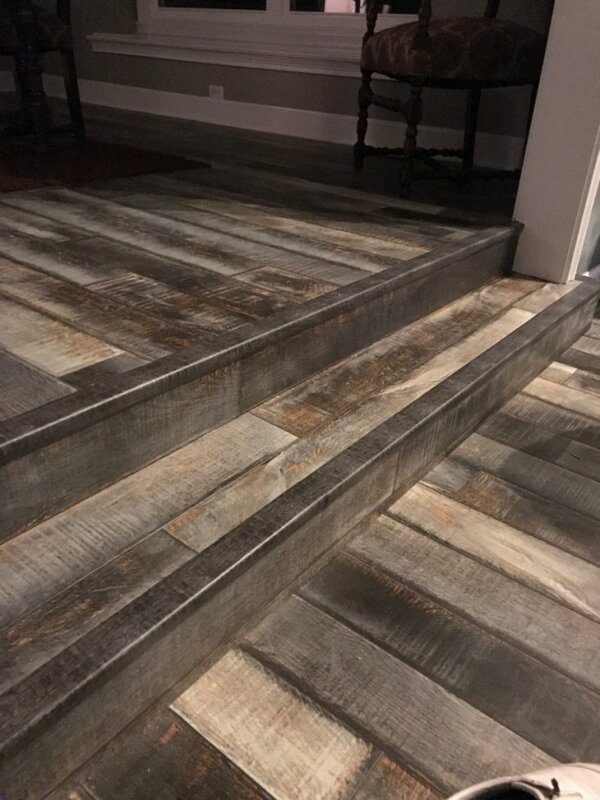 These floors are endlessly versatile with a variety of furnishings and are valued for the quality look they bring to a living space. While more expensive and time-intense to install, hardwood will always be a good investment. If your budget isn’t as high as you would like, you could still achieve the look you are wanting through the installation of engineered hardwood, which is a thinner top layer of hardwood with added wood layers fused beneath it. It is a quicker process to use engineered hardwood and you can still enjoy the warmth and class it provides to the room it is placed in. Ceramic tile is another great choice for a contemporary home that is always sought after by homebuyers. Tile gives the room a clean look and is easy to maintain. The variety of tile available on the market today makes it easy for anyone to create a complementary look to any of their decor. Textures, patterns and shapes can all be used to add a bit of customization to the space you are working with while still being able to enjoy the stain- and mold-resistance it provides. Carpet is appealing for homeowners who want a space to provide a warm and welcoming retreat from other more formal areas of the house. Carpet is a great addition to the living room or bedrooms. The padding provides comfort underfoot and helps reduce noise which is wonderful if you have children or pets running around. It’s also a safe space in the event of a fall, so both young and old can feel secure when they are standing on a carpeted area. No matter what type of material you are looking for, ICC floors can help you find the perfect floor for you! An Amazing Option for Your Floors! Are you looking to buy new flooring but don’t yet have the cash? Do you need to update your floor now for an event or holiday? Perhaps you want to place your home on the market but don’t want to pay for them upfront. Luckily we have an option for you. 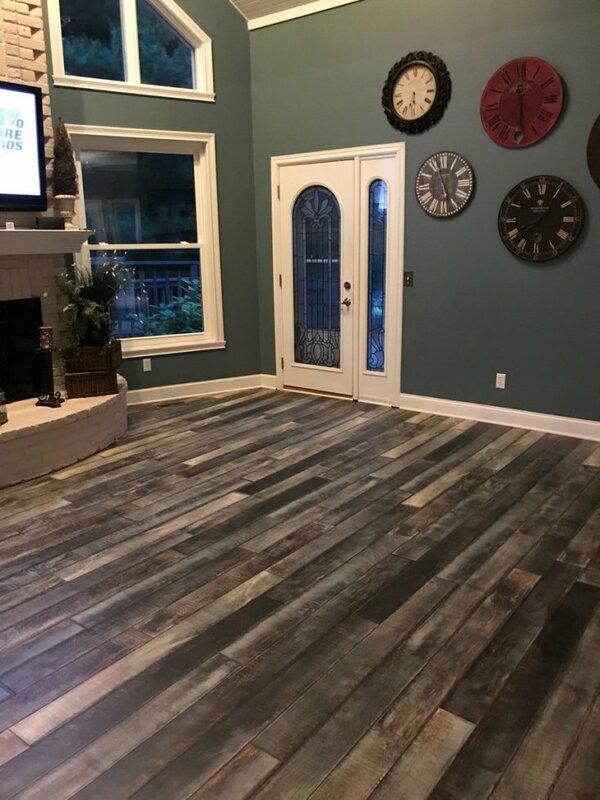 ICC Floors offers financing that is a fantastic alternative for homeowners to be able to make this purchase while taking more time to pay for their flooring. This is also a wonderful opportunity for those looking to build their credit history. Just imagine, buying the flooring you want now but taking your time to pay. Buyers will have the choice to use a “same as cash” option. With this option, you pay no interest at all when the account is paid within the time allotted. This is an amazing opportunity to finance your purchase with the added benefit of positively affecting your credit! That’s right! Since financing your purchase is a credit option, it can raise your credit score and help to establish your credit by showing a history of payments. Check with one of our showroom consultants for details of this offer and it is available at the time of your purchase. If you are considering new flooring, take a closer look at this amazing offer. This opportunity is a fantastic way for customers to increase their credit score and taking the time to pay while enjoying your new floor now! We can’t wait to help you discover all the flooring possibilities available to you. Let us know if you have any questions about the financial services we offer. 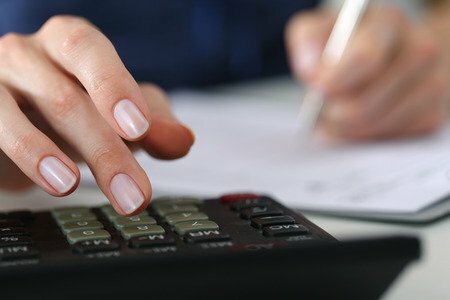 Fill out an online application or come into our showroom where we can help you to discover your perfect flooring budget. The staff at ICC floors can help guide you to the floor of your dreams. 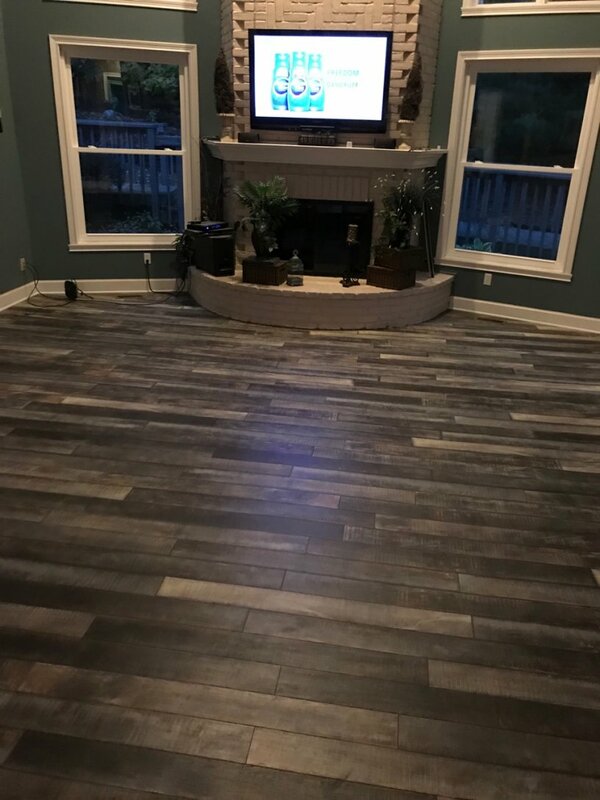 When updating the flooring in your home, it is best to choose a material that will not only make the space beautiful but also be an attractive option that will appeal to future buyers in the event of a resale. One of the most timeless flooring choices available is hardwood. It gives any home a natural look that will never go out of style. Trends will come and go, but home-seekers will always love the look that hardwood brings. Hardwood flooring is available in solid or engineered form. Solid hardwood is made entirely of a single piece of refinished wood whereas engineered hardwood has a solid wood core with a hardwood veneer on the surface. Both have their benefits, so it depends on which area of the home you wish to install this type of flooring. Solid hardwood has the benefit of being able to be sanded down and refinished if you ever want to change its look. Engineered hardwood is a great choice for easy installation. Solid hardwood performs well in low moisture areas while engineered hardwood can withstand a little more wear and tear because of the way it is constructed. Red Oak: A popular choice for its durability and longevity, it’s unique grain pattern and bright color gives the room character while working well with traditional decor. White Oak: White Oak has more subtle, golden tones, but it is harder on the Janka scale than it’s red counterpart. It is also better at absorbing stain color. Black Walnut: This is a darker wood for a more exotic or dramatic look in your home. It is very durable as well as shock resistant. 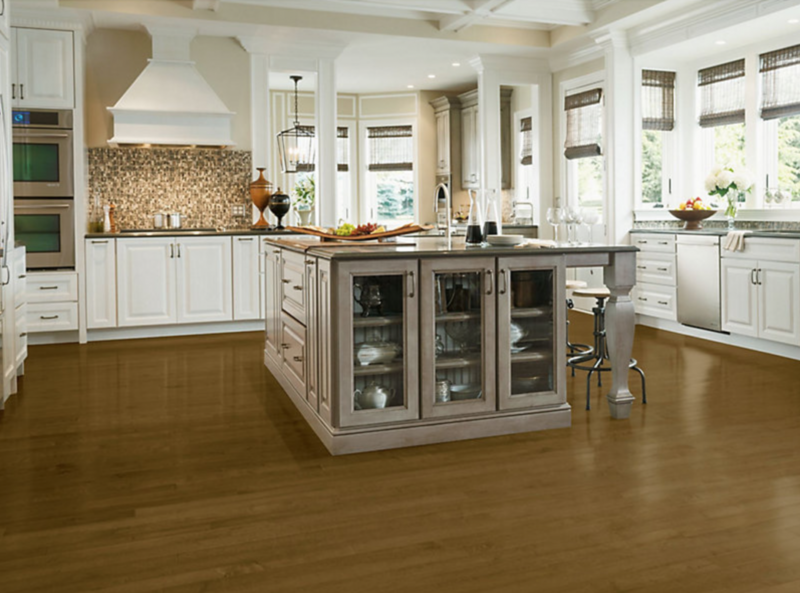 Hickory: This choice in flooring has the largest amount of color variations. Installing wider planks will bring out its beauty and distinct look. Maple: A durable choice in flooring with a light color, some boards can vary from straight, uniform lines to distinctive “birdseye” patterns in the grain. Cherry: It’s rich, reddish-brown hue adds warmth to a room while it’s uniform, straight grain provides continuity in a room’s design. Spring is here and with the flowers and fresh air comes Easter. 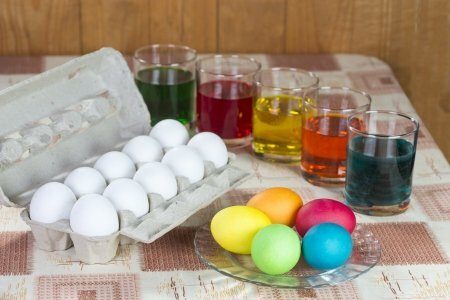 Dying Easter eggs is a fun-filled traditional activity to share with children. However, it can be stressful when that colorful dye reaches your carpet. Have no fear, we have a recipe to remove dye stains from carpet! As soon as you realize a spill has occurred, it is important to act! The longer a stain goes untreated, the harder it is to remove. Use paper towels or a clean rag to absorb as much of the dye as possible. Blot the stain, do not rub it. It is important to follow the measurements for the ingredients below. Heavier concentrations of cleaners will not help, but could have negative outcomes for your carpet! Mix as directed. To clean a dye stain that has just happened, it is best to use the soap and water route. Mix 1 teaspoon of clear (fragrance-free and dye-free) dish detergent per one cup of luke warm water. Rinse with lukewarm water. The area may need to be rinsed several times. If the area is not rinsed properly it can cause dirt to stick to the fibers; which will cause rapid spoiling. For tougher stains, rather than use the mix above, try this ammonia-based solution. Mix one tablespoon of ammonia per one cup of water. Test this in an inconspicuous area first, as ammonia can cause a color change to the carpet. Have you found this advice helpful but need guidance on even more types of stains? We have a large reference on our website for Floor Care and Stains. If you can’t find the help you need on our site, please feel free to contact us or come into one of our locations! We are always happy to help.